After facing off for a second time against the Vampire of Prague, Hellboy, dead and in Hell, comes down with a fatal illness and seeks the help of an incompetent team of doctors. 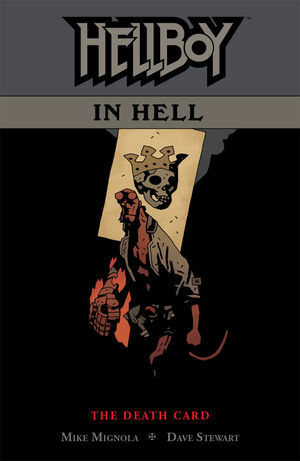 As he explores the geography of Hell, learning little from a confused pair of mapmakers, Hellboy gets a glimpse of the new World Tree that he helped to create, stands accused by his own sister of a terrible murder, and causes the destruction of Pandemonium itself in the climactic chapter of the series that the LA Times calls ?the best work of [Mike Mignola?s] career.? Collects issues #6?#10.